The body of a shark was found washed ashore in Florida with the remains of an old hat wrapped around its body. The photo of the dead finetooth shark was posted to St. Johns County Parks and Recreation's Facebook page. The post says the 6-foot-long shark of a species that ranges from North Carolina to Brazil migrates along the Florida coast in the early fall. The photo shows the remains of the hat identified by the post as a plastic brim, which is seen wrapped tightly around the shark's neck near its gills. 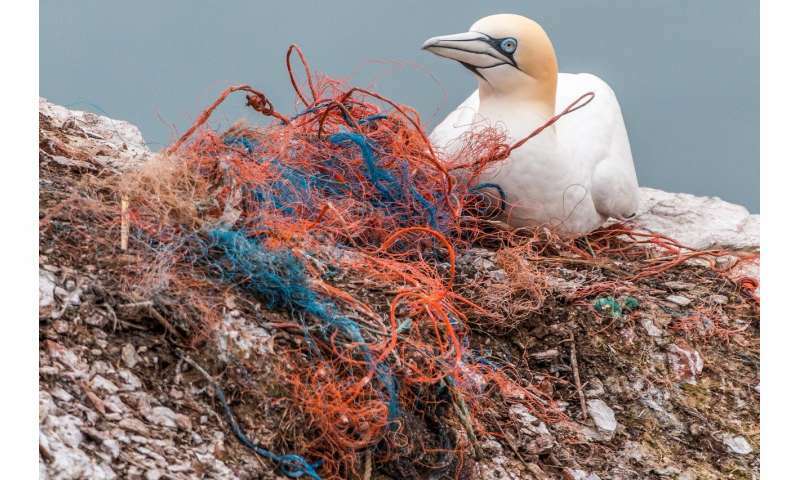 "Although the cause of death is undetermined without a necropsy of the animal, this is another great example of how plastic marine debris is not just a global issue, but a local one as well," the post reads. County staff responded to the report of the shark on Friday and then reported it to the Florida Fish and Wildlife Conservation Commission's Fish Kill Hotline, the post said.